In this age of mobiles and portable devices, PCs and Laptops still hold their own spot as they still provide a much better browsing and viewing experience. 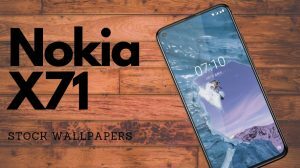 If you own a Nokia X smartphone (includes X+, X2 and XL) and want to use it to access internet on your PC, Laptop or any other device, this is the post for you. Tap Settings from your phone’s homescreen. Locate Mobile data and networks and tap on it. That’s it. There is no configuration to make. Wait for your PC to detect the data connection provided by the phone. If everything goes fine, your PC will start showing that you are connected to a network. You should start browsing now. Don’t want the hassle of wires and cables? You can create a WiFi hotspot using your Nokia X and then access the internet by connecting any WiFi enabled device to hotspot so created. This can also be used to share your data connection with your friends at college. Once hotspot is enabled, tap on Set up Wi-Fi hotspot to choose options related to the type of security and the security key. Connect your other Wi-Fi enabled devices to the hotspot created using Nokia X and start browsing the internet. Sir, i m using nokia x2 ds, when i am connecting internet through hotspot to laptop, it is connected but showing NOT SECURE. please sent me the hot spot code,I remove that..
What Hotspot code are you taking about? i am trying to connect my Nokia x with my laptop to copy data in it but it is not connecting to laptop and USB tethering is also not visible what should i do. What version of Windows are you running on your PC? Windows XP might have issues with MTP devices. My hotspots has stop working a few weeks ago,i have try several occasions but still working. My window 10 Toshiba satellite can’t dictate my nokia XL hotspot, what should I do? I have problem when i ON hotspot its not getting ON my hotspot ?? i once connected to the nokia XL hotspot freely on my win 8 laptop without any issues. i have another laptop running on win7 but the challenge i have is when i make attempts to connect to the wifi hotspot, it asks for Network security key. You need to enter the security key configured on your device. 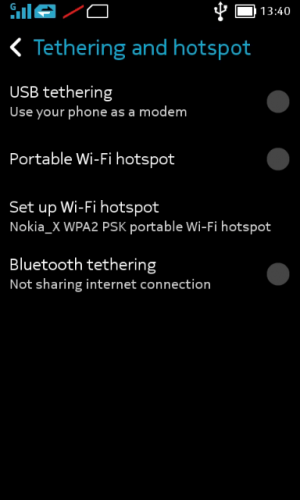 Nokia X does not have a hotspot wireless but rather has only wireless connection which makes it difficult to connect. How do l do it then. I couldn’t understand what you wanted to communicate. need to reinstall Android driver frequently otherwise it doesn’t recognise modem. Can’t tether to connect to Internet. Event log show’s a problem signature for driver. No problem when connected to other PC. Something is wrong with windows 7.
what should i do to resolve this problem. plz say what i do???? How to get security key on fone? So what should i do…. How to share my computer’s(win 7) internet connection with my nokia x2? Create a WiFi hotspot if your computer has a Wireless adapter. Else you’d be needed to root the phone to connect via a USB cable. 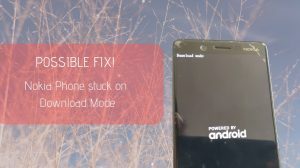 Already i have do that.. but i m facing problem with usb drivers not installing when i connecting my phone to my pc.. thats why i unable to connect with usb tathering… please help me..
My laptop doesn’t detect my Nokia x while setting portable WiFi hotspots. What I do? Try changing the security settings of WiFi network. BTW, does it detect other networks available nearby? You probably have set a wrong APN. Please use the At commands in modem settings to specify your APN. thaks these steps was really helpful…. Is there no way to use internet on pc running on xp by using usb tethering?? I have installed connectivity drivers but only able to transfer files and not tethering…. Right click the item with exclamatory sign in Dev Mgr and choose Update driver. Then browse to where you downloaded the above driver and install it. I try to update this drive software. It is not showing in the saved folder. XP might not support it. I’m not sure, but try these drivers. If they don’t work, Nokia supplies no other drivers. Does your Windows XP Install open up other devices connected via MTP? yes many others devices i use on this computer like samsung n htc n i have no problem but only nokiax2 android is not working..
my device manager doesn’t recognize my nokia xl. the usb drivers is working,i guess. can u help me? Try installing the drivers manually from the Nokia Developer website. I cant browse any internet application even if im using wifi or any promos from sun or smart Is nokia cellphone had a problem ? Me too.. how come when ever I play a video on YouTube or any sites it’s says “video cannot be deployed..” why? You can configure them in the tethering settings. Sorry but when did I made any mention of Hotspot Shield? You just need to enable Wi-Fi Tethering from the settings. 1) network and adapters, “remote NDIS based internet sharing device #2”. Please download and extract these drivers to a new folder. 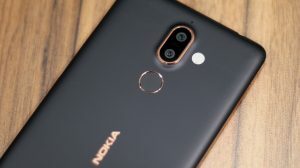 And install them for your Nokia XL by Right Clicking the Exclamatory Device in device manager and browsing to the location where you extracted. You might be needed to enable USB Debugging on your Nokia while installing drivers. On tethering; i am on windows 7, initially I did have the yellow mark against the device in device manager, but after installing the Nokia cable driver that problem is gone. However still can’t tether the internet connection. I am not sure if the device shows under network adaptors. Will check and perhaps post snapshots. 1) Unresponsive touchscreen, though it works fine but intermittently hangs. I have to use the power button, to resolve this, i.e. pressing the power button resolves the issue. Nay clue on what could be causing this? 2) Unable to use the UBS tethering option, have downbloaded the cable driver but still unable to use the tethering function, i.e no internet connection flows to the PC. Unresponsive Touchscreens is quite common with some displays from Nokia. My Lumia sometimes does the same, but that’s pretty rare. Something like once or twice a week. Unless it is too frequent, I think you must not bother about it. Only a firmware/driver update from Microsoft can improve the touch response and we don’t know if ever they will see this issue and try to fix it. 2. When you connect the p[hone to your PC and enable USB tethering, doesn’t your PC start installing some drivers? 3. In the Device Manager, do you see a Internet Sharing Device under Network Adapters? Or else a device with yellow exclamation mark? I have purchase a Noka XL,last week, but i m facing a problem to connect from internet. Whenever i connect to wifi the process begun for a long time authentication, connecting again authentication or connecting. Try changing the authentication method in your Wireless Router’s settings. I hav Nokia z dual sim phone /I am trying to get connected to the wifi connectivity…I have a wifi at home,its gets connected but then I am unable to surf the net because it says tap to sign to sign. what does this mean. Your connection might require authentication before you could use it. When you open a browser window, doesn’t it take you to a login page? Are you able to access internet on your other devices via this WiFi connection? Nokia X & Nokia XL was expected to come to India in the end of april, but it has not came, when it will come? Nokia X is already available. XL has reached the retailers and most probably will start selling by next week.